"We value the opportunity to see dance created by women, people of color and people of differing body types and abilities." Every summer, Victory Dance celebrates the artistry and diversity of NYC dance with performances specifically curated for young audiences. 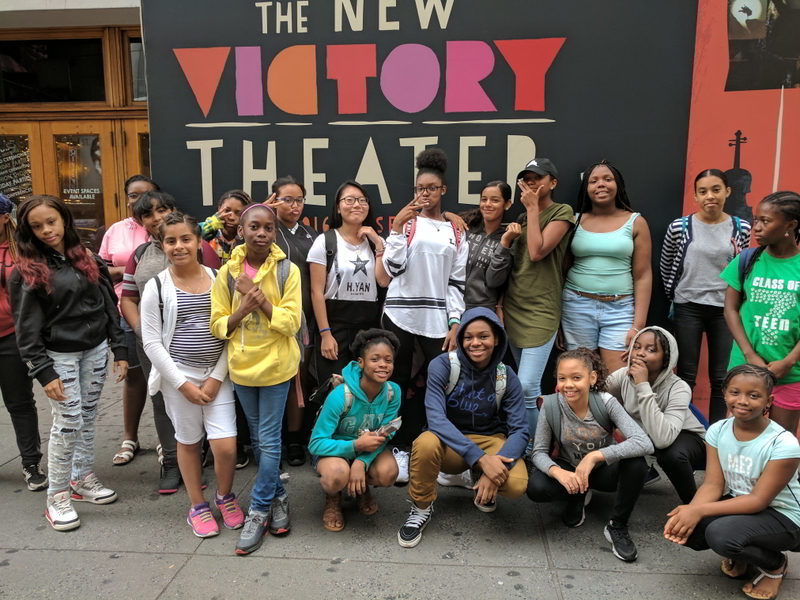 In the free program's three weeks, Victory Dance reaches more than 4,000 NYC kids at City-run summer schools, subsidized day camps and social service agencies. 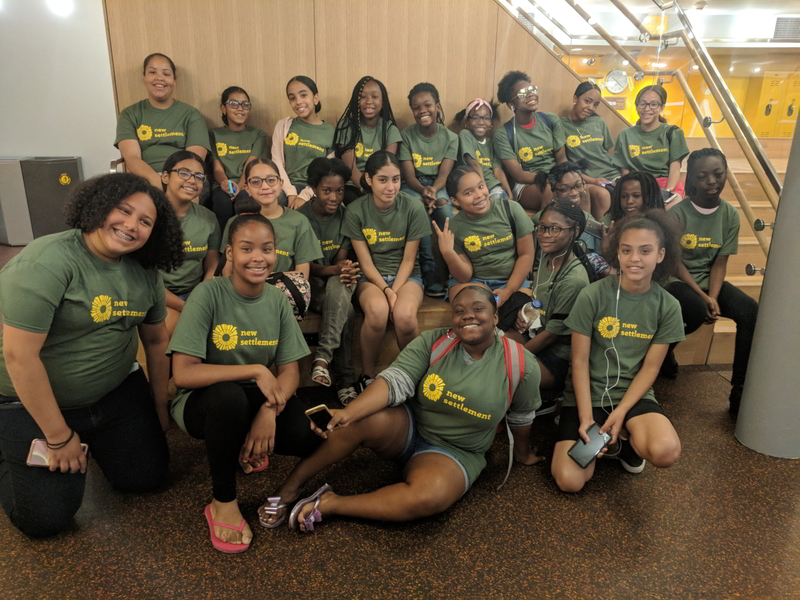 Girls from New Settlement Program for Girls & Young Women's Summer Arts & Leadership Academy have participated every year since the program started in 2014. Students pose outside The New Victory. A New Victory Teaching Artist leads a Classroom Workshop. Another group enjoys their field trip. 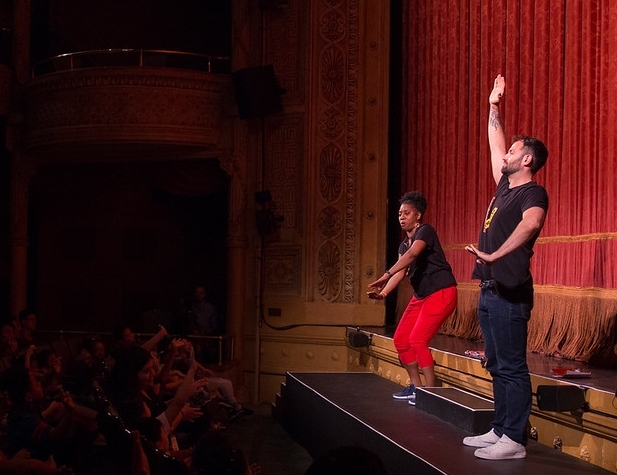 The New 42nd Street created Victory Dance to offer young audiences an introduction to the incredible breadth of the world of dance—expansive and diverse even when looking only to New York artists. Ms. Leonard's summer students rave about how the works they've seen have redefined their definitions of what qualifies as Art and have expanded what they see as their own creative potential. 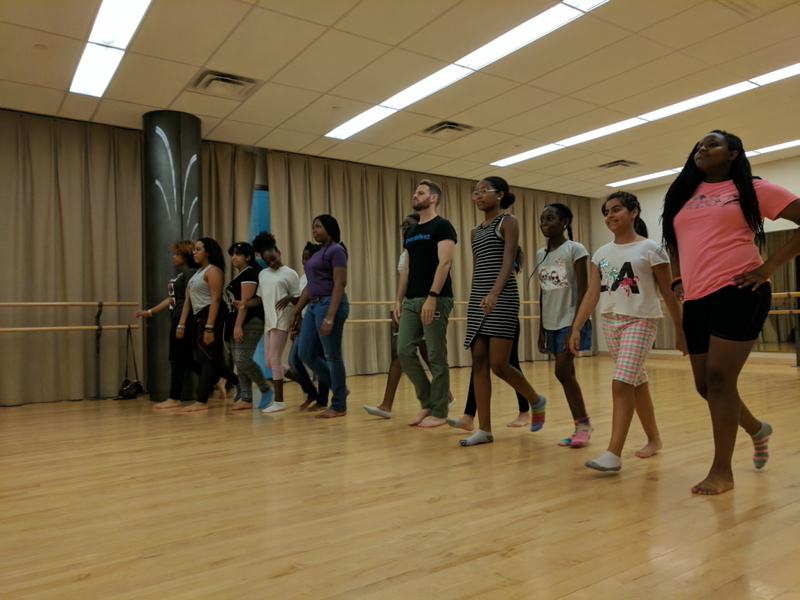 "Moments like Lil Buck juking to Swan Lake or Dance Theatre of Harlem performing ballet to jazz music have opened our participants' eyes about the possibilities of uniting street forms with classical, or otherwise blending atypical genres. The girls often comment on the pieces with the strongest design choices—hip-hop dancers moving slowly into a bright light as a metaphor for their journey toward recognition in the industry or gender-bending costumes that challenge the way we see men and women. They were especially inspired by the solo performance of Ayodele Casel this season—a Puerto Rican woman, a Bronx native, telling about her own journey while creating incredible rhythms with her feet. Said Anabelle (age 12), "I really liked how she talked about facing obstacles and following her dream." "They feel inspired to make their own work and tell their own stories." "We also value the opportunity to see dance created by women, people of color, people of differing body types and abilities, and representing such a range of cultures. Kiara (age 14) adored Calpulli Mexican Dance Company: "That little woman ruled them all, she had so much power and really held the stage. I loved seeing how someone my size could do that!" Has Victory Dance also given you a new understanding of dance? Write us at Community@NewVictory.org or post your experience on the New Victory Facebook page. We'd love to hear from you! Victory Dance has been made possible, in part, by a generous grant from the Blavatnik Family Foundation in honor of Dawdie Appelson, a teacher, arts enthusiast and life-long supporter of the performing arts. Victory Dance is also supported, in part, by the Jerome Robbins Foundation, Howard Gilman Foundation, Jody and John Arnhold, public funds from the New York City Department of Cultural Affairs in partnership with the City Council, the New York State Council on the Arts with the support of Governor Andrew M. Cuomo and the New York State Legislature, and the Harkness Foundation for Dance. You received this email because you have either attended a New Victory performance, donated to the theater or registered at NewVictory.org or Dukeon42.org. To remove the address of mr.social@wordfly.com from all future New Victory or New 42nd Street emails, unsubscribe now. The New Victory Theater is a New 42nd Street project.